Welcome to the Kelly Grimsley Auto Group in Odessa, Texas. Our large selection of New Cars and trucks and New SUVs features a combined inventory from three dealerships. We have a wide array of vehicles from Kia, Honda and Cadillac. The Kia lineup includes the new Kia Telluride, Stinger, Niro, Optima, Optima Hybrid, Cadenza, Sorento, Sedona, Soul, Sportage, Rio, Rio 5-Door and Forte. New Honda vehicles include the Honda Insight, Accord, Civic, CR-V, Fit, Odyssey, Pilot, HR-V, Ridgeline and the all new Honda Passport. 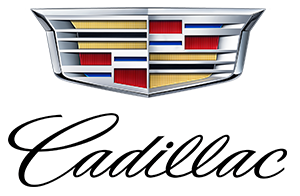 Cadillac offers an elegant selection of new Cadillac Escalade, ATS, CTS, CT6, XTS, XT6, XT5 and XT4 models to choose from. We invite you to visit our new car dealerships near Midland, San Angelo, Lubbock and Abilene Texas to test drive a new Kia, Cadillac or Honda today. Beyond our large selection of new vehicles we also offer many Used Cars, used trucks and plenty of certified used Kia, certified used Honda and certified used Cadillac vehicles. We have Used Cars and trucks to fit every budget and every lifestyle. Our Honda financing, Kia financing and Cadillac financing centers are here to explain the benefits of buying or leasing your next vehicle and answer your questions. Each of our car dealerships offers new car specials, lease deals and frequent factory incentives. Visit Kelly Grimsley Cadillac, Kelly Grimsley Kia, Kelly Grimsley Kia San Angelo or Kelly Grimsley Honda to see current offers.